The saga of James T. Kirk's historic command of the U.S.S. Enterprise is known throughout the galaxy. But one part of the legend has barely been touched upon until now: the story of Kirk's first starship command and the remarkable achievements by which Starfleet's youngest captain earned the right to succeed Christopher Pike as the commander of the famous Enterprise. From his early battles with the Klingons to the rescue of endangered civilizations, Kirk grapples with difficult questions: Is he a warrior or a peacemaker? Should he obey regulations or trust his instincts? 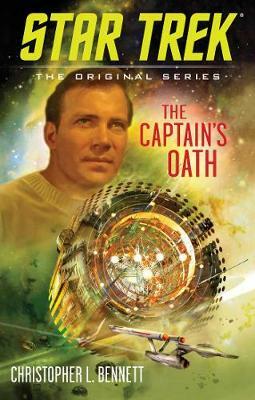 This thrilling novel illustrates the events and choices that would shape James T. Kirk into one of the most renowned captains in Starfleet history.